Just two years ago, The Mirror Trap were often referred to as Scotland’s best kept secret. Now though, with the help of Simulations, an album drenched in attitude and blistering tunes and with the archetypal 2016 ballsy and opinionated frontman, the band throw that title away and mark themselves as festival must sees. Opening track Under The Glass Tower packs a punch what with the raucously fast melody, the heavy hitting of the drums and the punctuated lyrics ensuring that every part of the song hits you square in the face. New Trance takes a different approach but is no less attention grabbing; slower and with an air of Queens Of The Stone Age about it, Moore’s voice takes centre stage with attitude dripping from every note he sings. Something Forever juxtaposes nicely with the first few songs of the album with the tune being the most poppy on the album, showing the band can do both styles with relative ease. The tone of the lyrics remains the same though; slightly Cure-esque in their whimsical approach to darkness, yet they fail to create the same image the band conjures. Single Piranhas is the best track on the album, yet the melody sounds straight off a QOTSA album what with its dark and dangerous edge, with Moore’s cries only serving to emphasise this feeling. The piano led Joyride falls flat in comparison to the first half of the land with the melody too slow and the lyrics too sickly before Second Life takes the album in a whole new direction what with its kaleidoscopic introduction before the average rock sound kicks in. Elixir tells the tale of ambitious youth and is reminiscient of another upcoming band Spring King in its energy and the carefree playing of the instruments which both bands use to great success. The darkly titled Bleach Your Bones is the perfect ending to the album, embodying all the best parts of the album, the energy, the enigmatic riffs and the lyrics steeped in imagery. They may not be doing anything particularly new, but The Mirror Trap are part of the new wave of musical talent to emerge from Britain and, rather than keep them a secret, Scotland should be embracing them as their own. 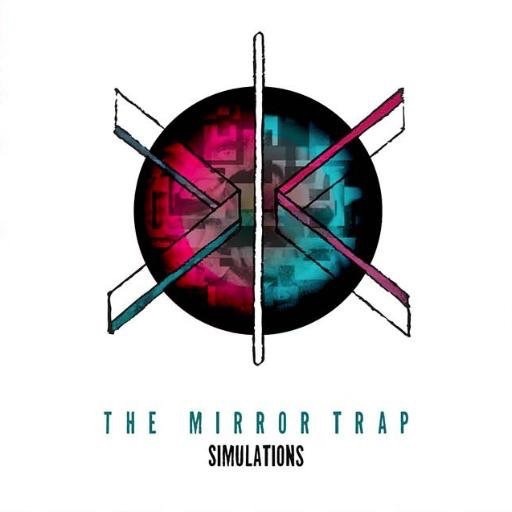 ‘Simulations’ by The Mirror Trap is released on 8th July.